Do your sales & marketing teams look like this? A recent Marketo study shared that companies with strong sales and marketing alignment are 67% better at closing deals and extract 280% more from marketing. Easier said than done, right? Not necessarily. There are a few simple solutions you can use to begin closing that sales and marketing gap. Catch four of them in our new eBook: “How to Align Marketing with Sales.” It also includes a case study on what happened when one company put these four techniques into play. The Great Marketing Dilemma(s): Can You Relate? 1. Are your internal campaigns as amazing as your external ones? Your marketing team piles on resources for external marketing campaigns, only to have few internal resources that ensure your sales team is focused on making those campaigns successful and/or for guiding both teams through all of the moving parts. At a moment’s notice, can you change priorities in a swift manner so nothing falls through the cracks? For instance, your biggest competitor is just bought — what do you do? Is it all-out mayhem, or do you have a quick action plan to drive alignment company-wide? Think about when you launch an external campaign. You cross all of your t’s and dot your i’s to ensure goals for success are clearly stated and you have a system to measure performance. You probably get really granular with things like impressions, emails sent, visitor conversion rates and click-throughs. So now think about the internal side of the campaign — do you put the same rigor into managing all the moving parts to get your team aligned and measure performance? 2. Do you have an all-hands-on-deck approach to ensure your most important campaigns and programs are successful? Just because the marketing team thinks a campaign is important doesn’t mean the sales team does. And just because marketing asks sales to drop everything and focus on driving attendance to an exclusive dinner in Beverly Hills, or follow up on qualified leads generated from the year’s biggest tradeshow, doesn’t mean that it happens. Add in the distance factor if you have a remotes sales team, and the complexities grow stronger. How do you make sure that your marketing team generates revenue from your most important programs? Do you pass ample qualified leads to sales, only to have them fall out of the pipeline days later — or worse — neglected? And how do you tailor the focus of sales by region, by product, by program or by any other category? 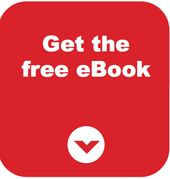 Get the free eBook to continue reading, and find out how you can answer them. Get 4 steps to align sales and marketing, and a case study from a company who used those steps, in this free eBook.